The Austrian technology company had a difficult start into the financial year. EBIT more than halved to € 4.4m. Nonetheless, the outlook has been confirmed. 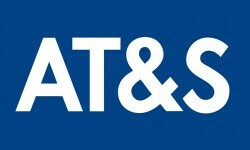 AT&S reported a significant decline in profits in the first quarter of financial year 2011/12. Consolidated net income fell from € 7.57m in Q1 2010/11 to € 2.06m. Earnings before interest and tax (EBIT) came to € 4.4m (after € 9.38m) with sales revenues of € 110.46m (€ 114m).